What is your favorite part when it comes to decorating? I surely know what mine is! I like coordinating different colors and unique textures along with carefully chosen furniture and art décor pieces. But my most favorite part is accessorizing décor. I am crazy about picking out accent decorations and hunting for that one perfect statement piece that will bring the reflection of my personality into my room interiors as I am self-proclaimed embellishment queen. I love to prettify things and I hope these tips will help yours too. The first rule is that do not accessorize a room with too many things that are little or smaller in size. If they are few in numbers then it is okay, but too much can create an illusion of disintegration. They can look elegant if done in a versatile way. Layer, layer, layer! Layering can be beautiful and it can accentuate your interiors in an astounding way. It requires creativity and imagination and most of us need to do a little work on it to achieve a pleasing look. You can use duvets, comforters, pillow cases, cushion covers and gorgeous bed sheets to achieve that look. 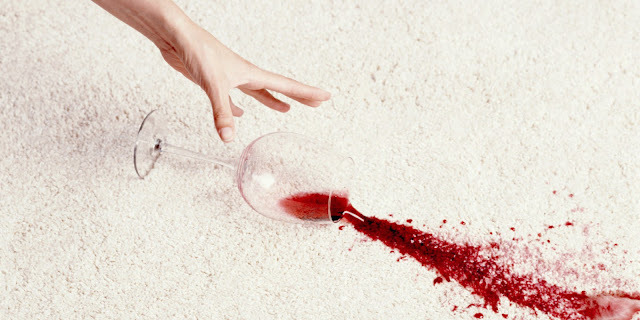 You can also use rugs in vibrant shades to cover an area. A beautifully woven carpet can make a place look spacious and sophisticated. You can also use them as a wall hanging and they will exude the brilliance of a masterpiece. 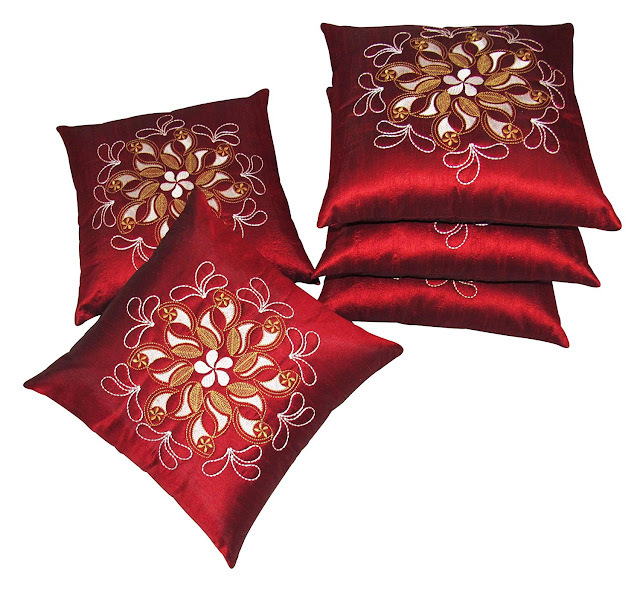 Bright colors in the form of cushion covers can make your couch look majestic. They can give your back a cushioned support apart from infusing a breath of fresh life into the dull interiors. When you refurbish your home, start with pillows as it is the most economical way to making impactful changes. You guys have also realized that it is very difficult to master your sewing machine. And you must have gotten tired of trying a lot to sew perfectly. Some of them may have given up seeing the level of difficulty. Do you accept? But because I am not alone in this struggle I have found a way to make your work easier. Here I am going to share with you all that how to make the most of your pillows… without using a sewing machine. Now you can take a deep sigh of relief! A little while ago, I came across some fabric glue which states Unique Stitch and I decided to use it just for a try, as I have already tried worst and nothing could be disgusting that fumbling around with a bobbin for an hour. I started collecting a bunch of different adorable cushion covers to try on some for the guest bedroom, some in the living room. And after trying I am really happy with their changed look. To assemble your pillow, place the two panels on top of each other and use the glue to paste the two panels to each other. I chose to run a strip of glue on the edge of the two 20x15 panels and fold the fabric over so that they look finished and so that I didn’t have any raw edges of my fabric with the print facing inward. When the pillow is assembled to 20x15 panels end up where the pillow opens in the back, slightly overlapping. This is how the back of your adorable cushion covers should look like. No matter how perfect your interiors are or how valuable your expensive furniture is, each piece of accessory must add decorative value to your home. The whole look must be pull together and everything should complement each other. For a cohesive and well coordinated look, the best way is to match your curtains with your wall color. With patterned drapes, make sure that the pattern contains at least a bit of the wall color. If your walls are adorned with white or ivory shade, choose a pattern which has a plain white base or background. If the walls are colorful then you can repeat the hues in the fabric`s foreground or background designs. Choose veils in the same color family as your walls in a bit lighter or darker shade, to achieve the classic look with solid-colored drapes. For instance if you have apricot color of walls go for burnt orange shade or vice versa. Stay within two to three shades of the color of the wall, if you prefer a subtle color difference. Complementary shades sit opposite each other on a color palette. Though complementary schemes of color look elegant and classic, the contrast is frequently too striking with curtains and walls in solid color. If the wall is blue you can pick for orange shade with white stripes. You can also tone down the look of all the wall colors if you have used strong shades by choosing the curtains in neutral colors. Ivory shade looks flawless and works well with both cool and warm wall colors. You can pick veils in butter-cream, champagne or something for less stark. You can also embellish the leading hem or edge to accentuate the visual interest. 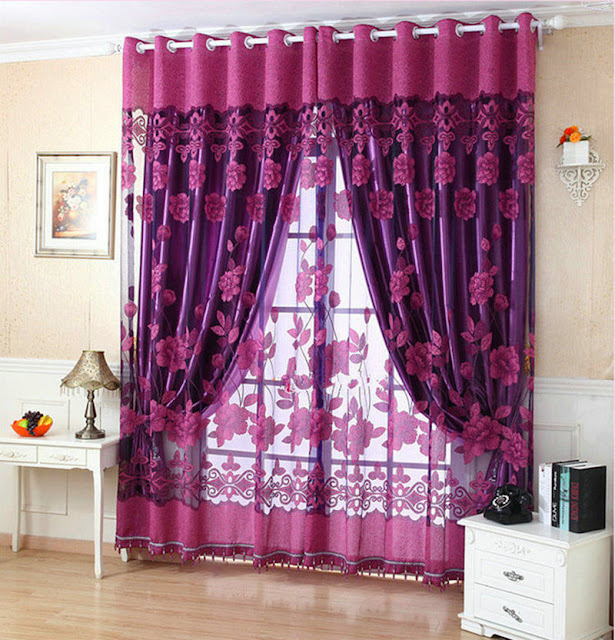 Curtains online shopping is one of the best way to select curtains according to your need and choice.